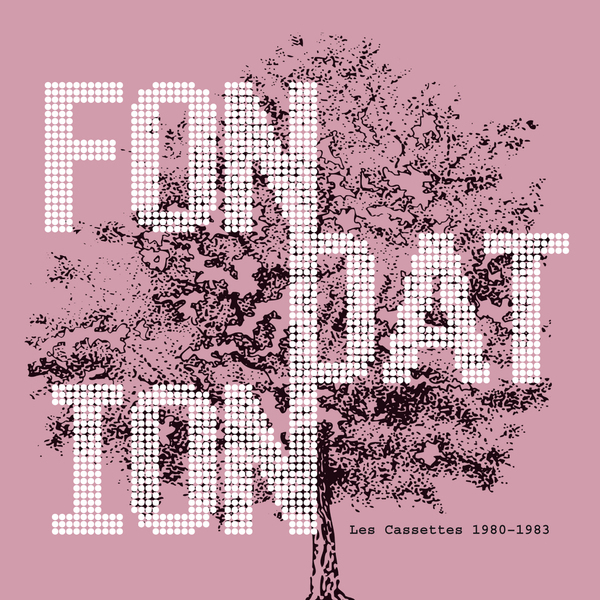 “In the early 1980s, the French musical duo Fondation, comprising Ivan Coaquette and Anannka Raghel, released three tapes of fantastic electronic music which owed much to the experimentalism of the seventies. Synthesizer, drum computer, solo guitar. Repetitive, meditative, hypnotic -- between ambient and synth pop. Les Cassettes 1980-1983 presents a selection of their finest pieces from this period. During an extended sojourn in Italy around 1970, the multi-instrumentalist Ivan Coaquette contributed to the highly experimental artist collective Musica Elettronica Viva, who were on a mission to liberate music from every form of convention. Back in France, he played in various experimental prog rock bands such as Spacecraft and Delired Cameleon Family. His wife Anannka began learning to play the piano at the age of four, studied music theory, and sang together with her father, a professional vocalist. Her focus subsequently shifted to theater and dance, but she would return to music, taking up piano and singing lessons again and playing in bands like Spacecraft, Pandemonium, Zed, and Chantal Grimm. Between 1980 and 1983 they managed to release three lovingly crafted cassettes. Opting for this format rather than the LP was not solely an economic decision. The duo stated a preference for the longer playing time which cassettes afforded. All three tapes had a running time of around 60 minutes. Fondation created sonic collages underpinned by synthesizer, organ, drum computer, and guitar, enhanced by bursts of noise, field recordings, diverse percussion instruments, and the occasional wordless lament sung by Anannka Raghel. Although synthetic sounds are the "foundation" of all Fondation pieces, synthesizers are not -- in contrast to "classic" Berlin School (Berliner Schule) acts such as Tangerine Dream or Klaus Schulze -- especially prominent in their music. Noteworthy is the use of a Korg X-911 guitar synthesizer, related to the popular black series Korg MS-20 synthesizer. The X-911 transforms a monophonic input signal into synthetic sound.